Congratulations, you’re going to one of the most beautiful cities on Earth – Edinburgh! In this post, I’ll tell you about 7 absolutely best Edinburgh tours to take. My expertise is based on 1.5 years spent in Edinburgh, so believe me, in such a small city like Edinburgh, I managed to see and do 99% of the things you could possibly do there. So let’s get started. Don’t forget to check out my posts about 15 free things to do in Edinburgh and 10 best attractions in Edinburgh, Scotland! If you could only take one tour in Edinburgh, it should be Edinburgh Vaults tour by Mercat. We loved this tour so much with Pepe, that we even wrote a separate review about this tour (read it here). Long story short – you will walk around the city centre for a while and learn about the city’s past when the streets used to be as narrow as they are now, but the buildings were almost 15-storey high. Hard to believe it, right? But it’s true – read more about it in my Ultimate Guide to Edinburgh, Scotland. Later, you will get down inside the Edinburgh Vaults. Read vaults, zero commercial stuff, I even felt a bit uneasy inside. But if you’re lucky, you can see a ghost or two. Edinburgh Vaults tour gets sold out very quickly, so just check the availability now! Edinburgh Vaults and Edinburgh Ghost tour are not the same tours, but they are similar in a sense, that they both talk about ghosts. However, the Edinburgh ghost tours brings you to cemeteries and haunted places while telling some creepy stories, while Edinburgh Vaults tour gives more insight into the history of the city and how life used to be few hundreds of years ago. The Ghost tour is definitely one of the best Edinburgh tours to take. Edinburgh Ghost Tour is extremely popular at night, so just bring some really warm clothes and don’t forget to check the availability of the tour. Edinburgh Walking Tour is your standard tour you take in any city, when you want to learn more about the city and its past (and present). Edinburgh Walking tour might not sound as interesting as the Ghost tour for example, but it’s still amazing in terms of history and how much you can actually learn about the city. Check the prices & availability of Edinburgh walking tour now. Did you know that Harry Potter was partially inspired by Edinburgh and it’s a fact. There are so many places associated with Harry Potter and even PLACES, where Joanne Rowling was writing the first book. You can take a tour and see all these places at once, as well as connect with a bunch of like-minded people. Check the availability of the Harry Potter tour now! 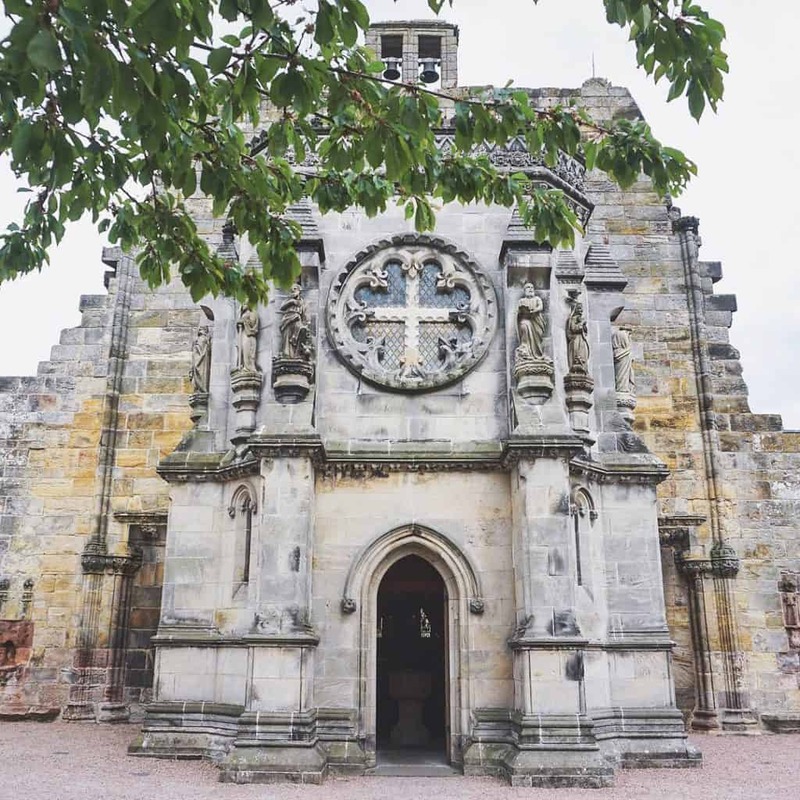 If you believe in free masons or are a huge van of Dan Brown and his Da Vinci Code, you have to go to Rosslyn chapel. It’s always better to get two for one, so if you go on this tour, you can also visit the Hadrian’s Wall or the Roman Wall. Hadrian’s Wall is actually in England, but that’s not far away from Edinburgh anyway! Check the availability of the Rosslyn Chapel and Hadrian’s Wall tour. If you’re an avid fan on cycling and can’t survive a day without your bike, you should definitely on a bike tour around Edinburgh. However, prepare, that it will be tough, very tough. Edinburgh has so many hills, that you get tired even when walking (and don’t forget about all the stairs you need to take). However, the benefit of the bikes is that you can explore the city faster. It works well for short visits of Edinburgh (e.g. weekend trips). Check the prices for Edinburgh bike tours now! 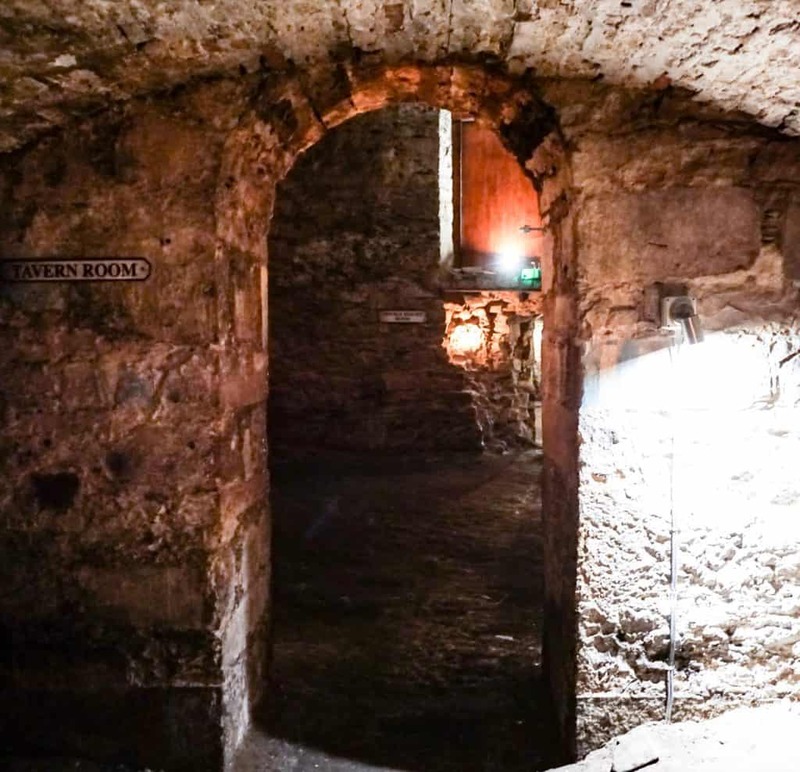 This tour is actually similar to Edinburgh Vaults and Ghost tour, but it’s not precisely the same and it would tell you about the life in Edinburgh in the 18th century amidst the Jacobite Uprising. During this tour you will visit the St. Giles Cathedral (which is very impressive) and lots of other places in Edinburgh Old Town. You can check the dates and the prices for this tour here. Best day trip to take from Edinburgh – Loch Ness, Glencoe, Highlands and Whisky Distillery Day tour! Well, that was pretty much it about the best Edinburgh tours to take. We’ve got plenty of content about Edinburgh here, on this blog, so don’t forget to check out the entire Edinburgh category. You’ll find what are the best places to have Afternoon tea, where to eat in Edinburgh on budget, what are the best affordable hotels in Edinburgh and many other posts. Disclaimer: this post contains affiliate links, so at absolutely no expense for you, I will get a tiny commission. 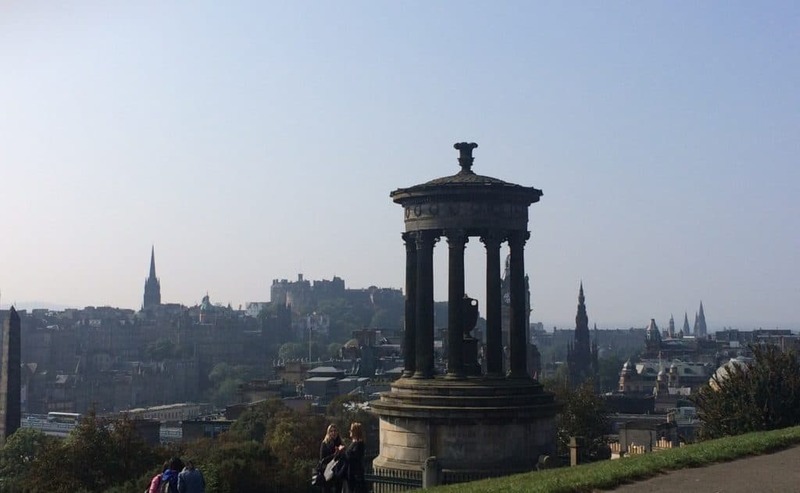 Liked this post about 7 absolutely best Edinburgh tours to take? Save it on Pinterest! 10 ways to save money in London: restaurants, clothes, cinema and more! Edinburgh Fringe Festival review. Is it really worth it?